We help foreign startups build operations in Ukraine. This allows our clients to cut their production costs, increase diversity and promote innovation. We have validated the idea in the market and are now working on building a portfolio to increase credibility of the brand and acquire more clients. 2. Companies which raised a fee rounds of investments, are showing growth, have more money and could be interested in setting up a branch. 3. Public companies with a shortage of talent. We are helping foreign IT Tech Companies to lower their production costs by expanding their business operations here in Ukraine. It is known that Ukraine has a high volume of very qualified and professional developers who can contribute to the product development of foreign companies without sacrificing the quality and at the same time at a significantly lower price point. This would also promote diversity in company's culture and will eventually lead to more innovation. We take care of all activities that are involved in successfully establishing a fully functional company branch in Kiev or finding top talent remote workers. This can dramatically decrease production costs for the majority of the Tech startups without sacrificing the quality. 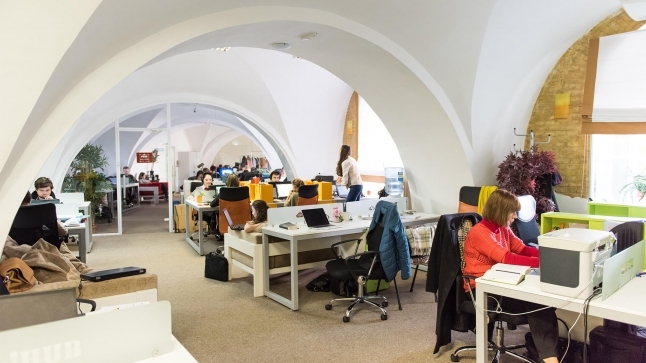 There are many examples of foreign startups that have successfully established their presence in Ukraine and benefitting from the local workforce market. To name a few: DataRobot, Attendify, Plarium, Grammarly, Playtech, Gameloft, Ubisoft and many more. At this time there is really no such company that offers comprehensive expansion services to foreign startups, majority of companies who built operations here did this through private channels. We are going to become the first full cycle business expansion service in Ukraine. We are better than any recruitment agency, because we are not one. Our goal is to help foreign businesses succeed and help Ukraine turn into a new global innovation hub. We are providing a full cycle business expansion service. Flat fee per provided employee and for administrative services, plus a contract based salary, equity to be discussed individually with each client.